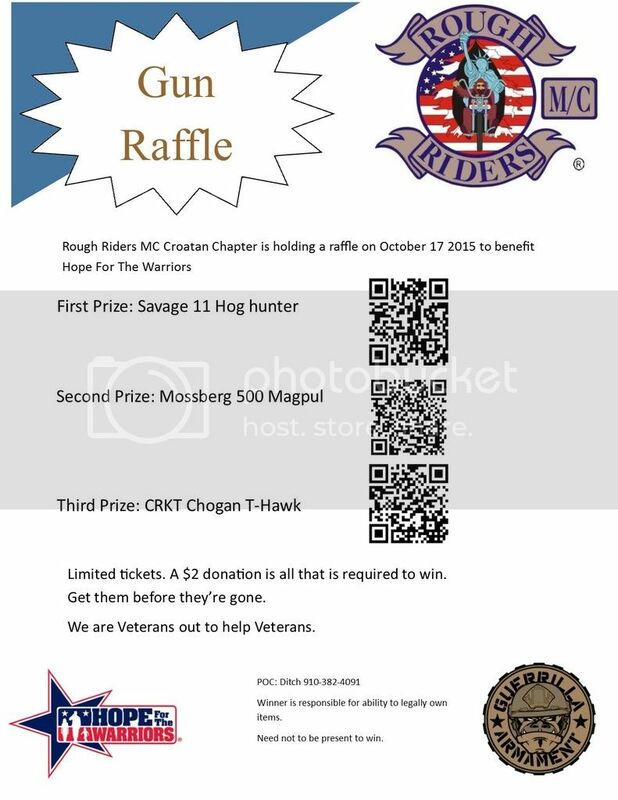 Benefit raffle selling tickets, will ship at winners expense. how do we donate/enter? Thanks for sharing this! I can take pay pal gifts or you can send me money with your information and i will send you photo verification of your raffle tickets. Willing to take suggestion if any one has good method. It's only $2, I don't really mind, either way. :agree: ...what he said. Or, PM your snail mail addy and I'll send money the old fashioned way! we had the raffle last night I did not sell the wining ticket. We did raise over 3000$ For Hope for the Warriors. Let me know if you have more of these, Ditch.